Worship is the place where we come together as a church family to praise God, grow in the Christian life, and support one another in community. At RPC we provide two distinct service styles. The message and components of both services are the same, but expressed differently. In the summer, we often have blended music styles in our single service. At the traditional service, you will find the great hymns of the church, as well as some newer hymns, supported by our fine organist. We use the Presbyterian Hymnal. Liturgy, with its spoken and sung responses, is a part of this service. 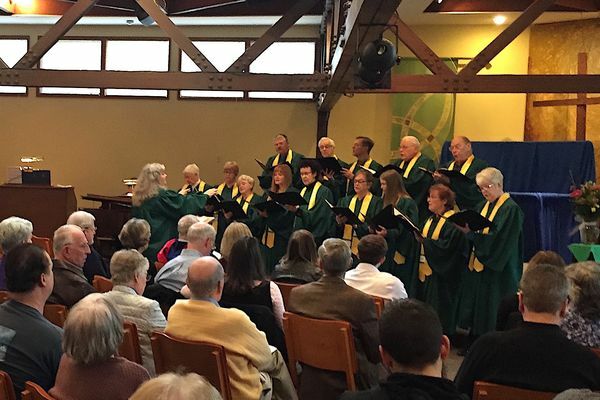 Our choir provides an anthem each week that is chosen from old standards and newly published works to lift the heart and mind, provide reflection in the seasons of the church year, and bring hope and comfort for our daily lives. The RPC contemporary worship service is uniquely identified by its style of music and informal atmosphere. There is an extended period of worship with songs followed by the children’s message, scripture readings, and the pastor’s message. The music of the contemporary worship service comes from a variety of sources, but mostly from contemporary Christian composers, including some from our own congregation. It is our desire for this service to bring each member of the congregation closer to God.